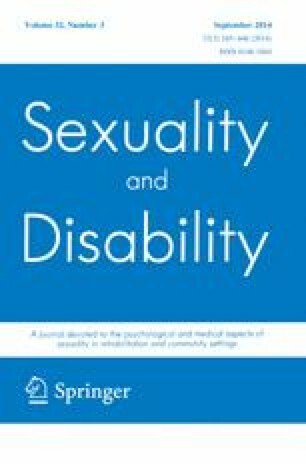 Literature argues that people with disabilities have heightened risk of exposure to sexually transmitted infections, including HIV due to lack of HIV knowledge, access to health services, and increased risk of sexual abuse and poverty. People with disabilities lack access to sexuality education. Teachers should be at the forefront to address this; however there is little understanding of the knowledge, attitudes, practices and needs of teachers of learners with disabilities in regards to sexuality/HIV education in Africa. A pilot study was conducted in ten special schools (eight urban, two rural) representing four types of disabilities in South Africa. Data was collected from 99 teachers using scales investigating beliefs and practice in teaching sexuality education, perceived subjective norms, self-efficacy, and materials/professional preparation. Frequencies, means, standard deviations and Cronbach’s alphas were calculated for all scales. The data shows that overall teachers have positive attitudes towards teaching all elements of comprehensive sexuality education. However, they find it easier to discuss “soft topics” around relationships and personal skills (e.g., hygiene) than to talk about sexual behavior and functions. Teachers expressed confidence in their ability to teach sexuality education but indicated that their professional preparation and materials are not adequate to provide accessible sexuality education to their learners. The study highlights the need to develop appropriate materials and to build teachers’ capacity to deliver sexuality and HIV education to learners with disabilities. This study was funded by the Health Economics and HIV and AIDS Research Division (HEARD) at the University of KwaZulu-Natal.